“We are to love God, not only with all the heart, mind, and soul, but with all the strength. This covers the full, intelligent use of the physical powers. Christ was a true worker in temporal as well as in spiritual things, and into all His work He brought a determination to do His Father’s will. The things of heaven and earth are more closely connected and are more directly under the supervision of Christ than many realize. It was Christ who planned the arrangement for the first earthly tabernacle. He gave every specification in regard to the building of Solomon’s temple. 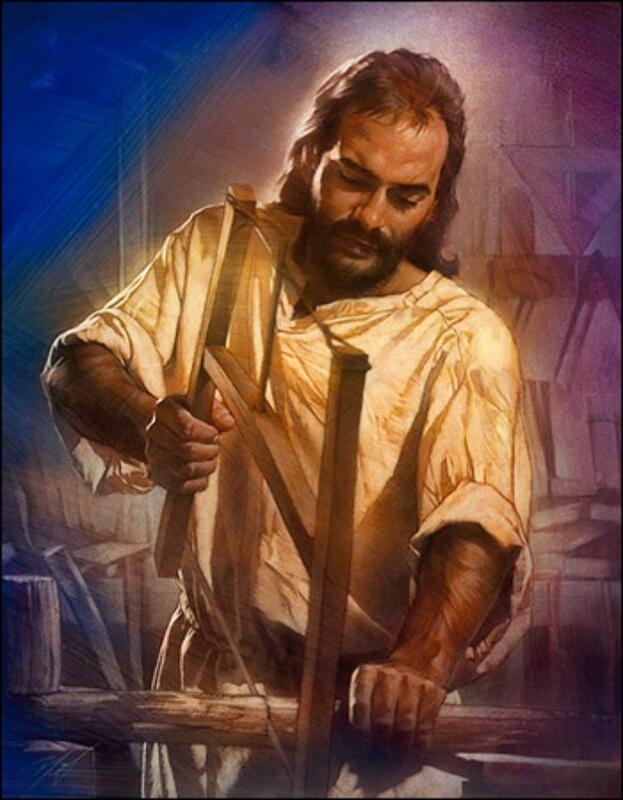 The One who in His earthly life worked as a carpenter in the village of Nazareth was the heavenly architect who marked out the plan for the sacred building where His name was to be honored. God desires that His workers in every line shall look to Him as the Giver of all they possess. All right inventions and improvements have their source in Him who is wonderful in counsel and excellent in working. The skillful touch of the physician’s hand, his power over nerve and muscle, his knowledge of the delicate organism of the body, is the wisdom of divine power, to be used in behalf of the suffering. The skill with which the carpenter uses the hammer, the strength with which the blacksmith makes the anvil ring, comes from God. He has entrusted men with talents, and He expects them to look to Him for counsel. Whatever we do, in whatever department of the work we are placed, He desires to control our minds that we may do perfect work. Religion and business are not two separate things; they are one. Bible religion is to be interwoven with all we do or say. Divine and human agencies are to combine in temporal as well as in spiritual achievements. They are to be united in all human pursuits, in mechanical and agricultural labors, in mercantile and scientific enterprises. There must be co-operation in everything embraced in Christian activity. God has proclaimed the principles on which alone this co-operation is possible. His glory must be the motive of all who are laborers together with Him. All our work is to be done from love of God and in accordance with His will. God is testing and proving us by our daily lives, watching the development of our characters, weighing our moral worth. Those who slight the spirit of the Word of God in their business life, as carpenters, lawyers, and merchants, are unfaithful in matters of eternal interest, since it is the life that indicates the spiritual advancement, and registers upon the Book of God the unchangeable figures of the future. The angels are mournfully inscribing a fearful record of slighted duties and neglected opportunities against many who make exalted professions. Those who are unfaithful in little things, cannot be entrusted with the true riches of the kingdom.